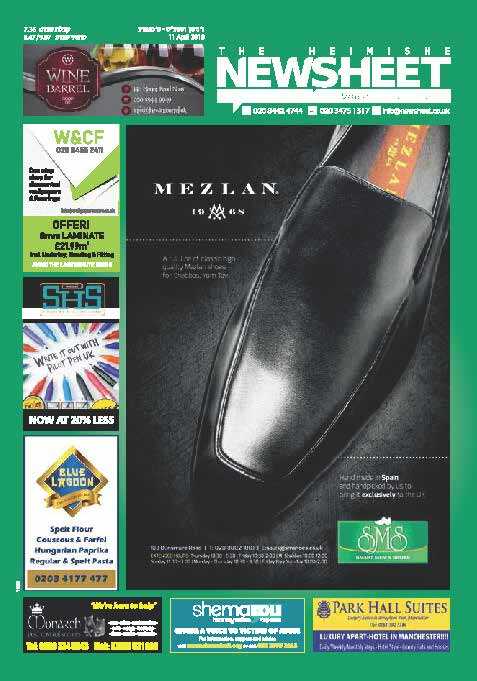 The Heimishe Newsheet has become the foremost and most established advertising medium in the North London . 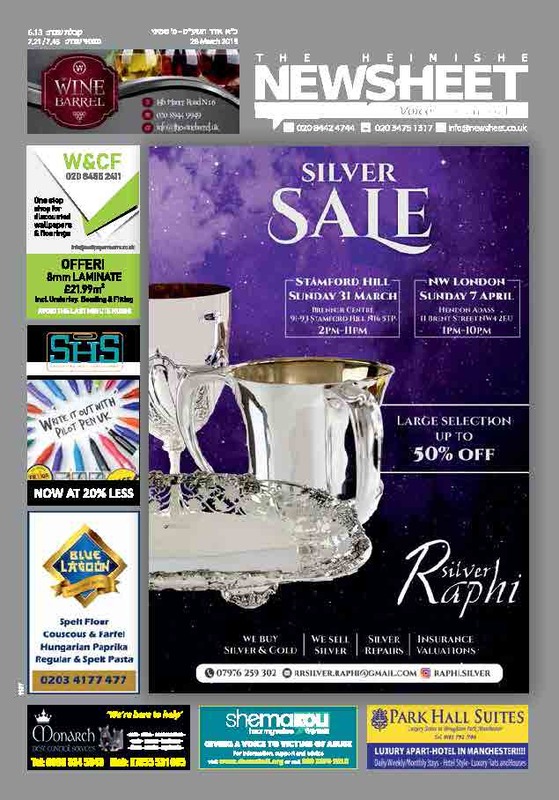 Delivered free to over 5650 local households in North London every Thursday, endorsed by leading Rabbanim, with an authentic heimishe flavour yet professional appeal, it provides both quality marketing and reading pleasure to thousands of readers of all ages and backgrounds. 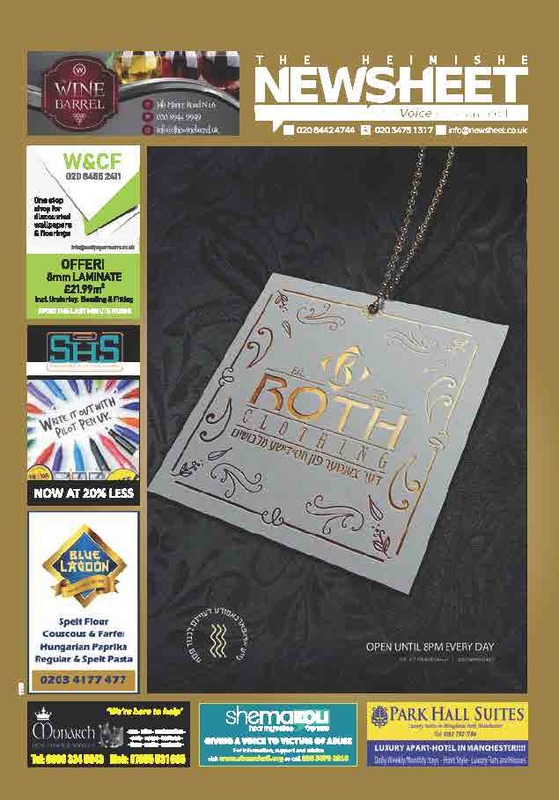 Over the years we have reached our goal to become the leading Jewish advertising and current event publication in the North and North West London. That’s why we are constantly updating and expanding our pages. 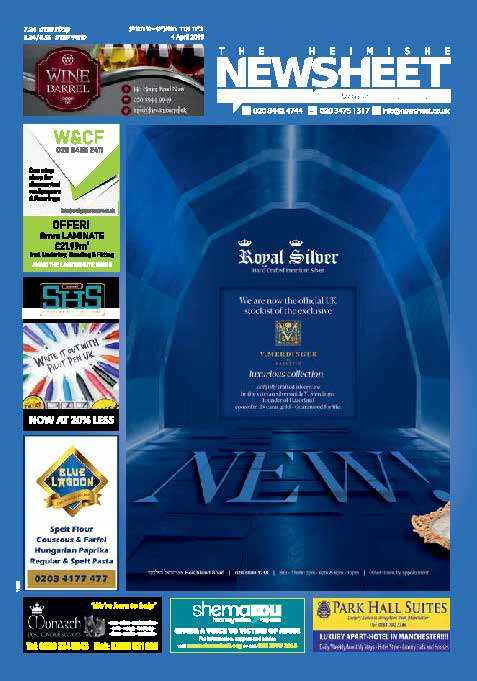 We want the discerning reader to receive a fresh, comprehensive outlook on what’s on every week. At the same time we value our customer’s advertising preferences and will do our best to create both professional and eye-catching advertisements. With a choice of full-colour or black-and-white adverts, and a wide range of space sizes, there should be something to suit every budget. We also carry special offers for long term advertising. The Heimishe Newsheet has recently begun delivering copies every week to grocery stores in and around North West London free of charge. We hope in the near future to expand this service by delivering to household doors throughout the North West and Edgware, thus benefiting a wider readership, while expanding the advertisers’ sphere of influence. 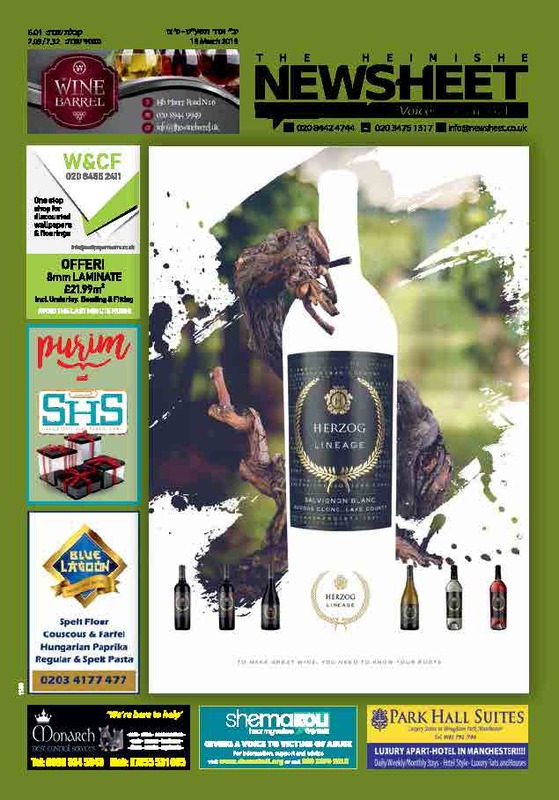 We look forward to continue providing the heimishe community with high quality, reliable advertising and to helping you promote your business. Click below to submit your advertisement. CREATE YOUR OWN ADD NOW!